The Vanishing Candle - "Meakaurah"
Cartoon - I'm Here Again! Accepted for Review - Oh! 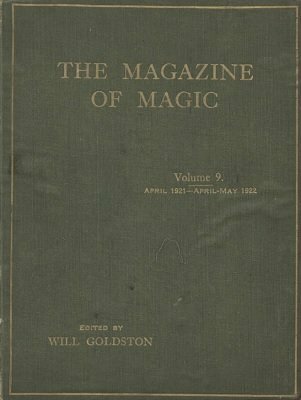 "Dr. Q"
A Novel Force - And Tricks in Connection Therewith - G. W. H.
A Monetary Puzzle - G. W. H.
The Magicians' Club Honour "Mystic Clayton"
Photographs - Official Reception to "Mystic Clayton"
Accepted for Review - At Last!